Nazoranai + Nicholas Bullen – tomorrow! A reminder that tomorrow night there will be an unmissable show in Birmingham. If you’re a fan of the heavy doom of Sunn0))), the darker side of psychedelia, free jazz, noise or drone, this one is for you! Oren Ambarchi is an Australian composer with interests in transcending conventional instrumental approaches. His work focuses mainly on the exploration of the guitar, but tomorrow night he’ll be taking up drums. Stephen O’Malley is a musician from Seattle, who has conceptualised numerous drone, doom and experimental music groups, most notably, Sunn0))). 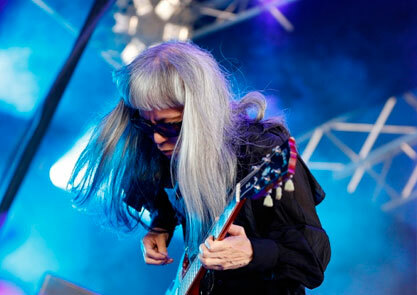 Keiji Haino is a Japanese musician and composer whose work has included rock, free improvisation, drone, noise and minimalism. This show will also act as the album launch for Component Fixations, the new record by Nicholas Bullen, out on Type*.